Graffiti Action Days are an easy, effective, low cost way to empower people to fight back against graffiti blight. They empower community-minded volunteers and eliminate a significant amount of graffiti at a very low cost. Once individuals learn how easy and gratifying it is to remove graffiti, the hope is that they will be inspired to continue to help keep the neighborhood clean. Based on the feedback from the actions from the last few summers, it’s working. The Program: Graffiti Action Days are volunteer graffiti removal events that empower the community to reclaim their neighborhood from the visual blight of graffiti. They significantly and tangibly improve the appearance of the targeted commercial corridor, park or neighborhood plagued by graffiti. They are typically held on a Saturday morning and lasts for two hours. Often they are followed by a complementary lunch for volunteers donated by a local restaurant. The Impact: Volunteers can quickly and safely remove hundreds of graffiti tags armed with SoSafe's highly-innovative, highly-effective, highly-safe Graffiti Remover. During two-hour events, volunteers report personally cleaning an estimated 25 to 50 tags. Cost: Graffiti Action Days shift the cost burden of graffiti removal from the City budget to volunteer neighborhood groups. Graffiti removal by the City can cost $35 per tag. 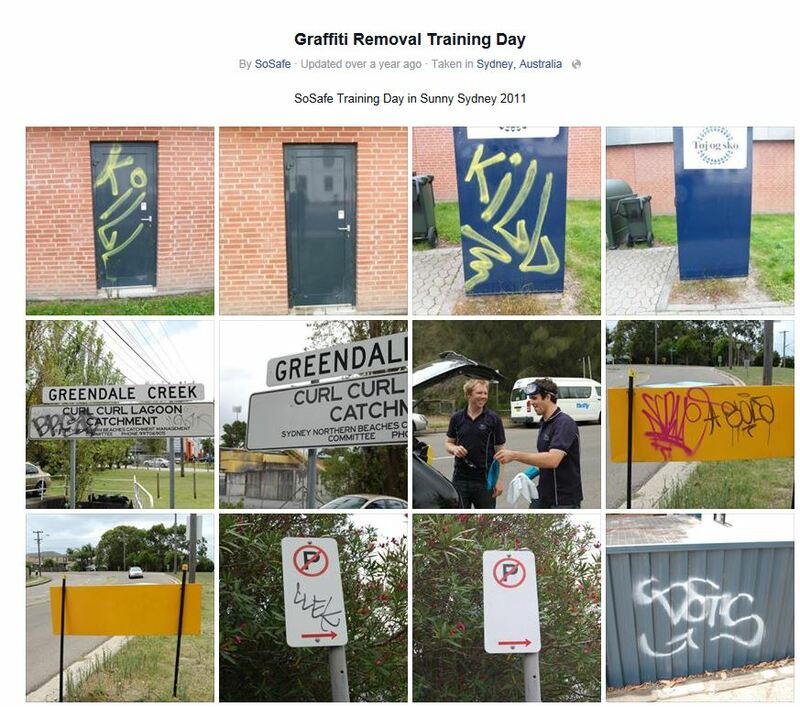 Volunteers armed with SoSafe Graffiti Removers can do it for between $0.50 to $1.00 per tag. Effectiveness: SoSafe graffiti removers are fast acting and can completely remove most tags within a couple minutes without impacting the underlying surface. Volunteers armed with spray bottles, sponges and rags can effectively remove the majority of graffiti in a commercial corridor from non-porous surfaces including signs, mailboxes, newspaper boxes, parking meter boxes and lamp posts. It's surprisingly effective and its speed is captured in this short video. Safety and Environmentally-Sustainability: SoSafe Graffiti Removers are highly environmentally-friendly and therefore safe enough to be used by non-professionals. It is this remarkably innovative combination of effectiveness and safety that allow the Graffiti Action Days to work. 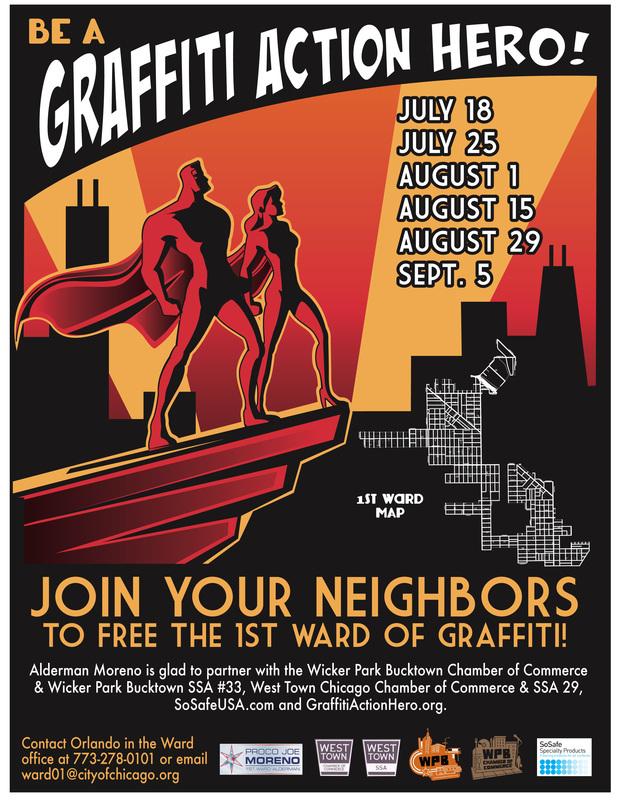 Leadership: Similar in structure to a Clean and Green, Graffiti Action Days are typically spearheaded by aldermanic offices, chambers of commerce/SSA, neighborhood organizations, schools, or block clubs.